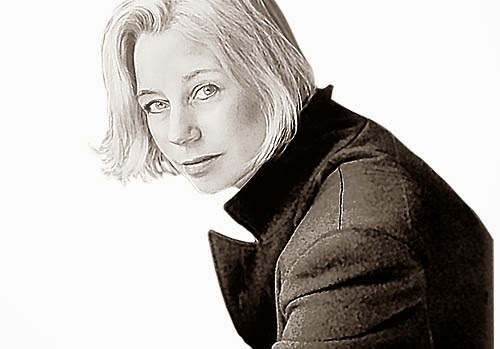 Laura Lippman is one of the few authors to have won nearly every single mystery award. She is best known for writing a series of novels set in Baltimore and featuring Tess Monaghan, a reporter turned private investigator. Lippman's novels have won the Agatha, Anthony, Edgar®, Nero, Gumshoe, Barry and Shamus awards. Her 2003 novel Every Secret Thing, has been optioned for the movie by Academy Award–winning actor Frances McDormand. Her 2007 release, What the Dead Know, was the first of her books to make the New York Times bestseller list, and was shortlisted for the Crime Writer's Association Dagger Award. She also has been nominated for other prizes in the crime fiction field, including the Hammett and the Macavity. She was recently awarded the first Pinckley Prize for a Distinguished Body of Work for crime fiction, named to honor the memory of Diana Pinckley, long time crime fiction columnist for The New Orleans Times-Picayune. So I’m always happy to talk about my ideas. What I don’t want to talk about is other people’s ideas – that is, ideas that they want me to write; an offer that usually comes with the generous proposal that we then split all proceeds 50-50. And I can tell, when the offer is made, that the person thinks he’s being more than fair. After all, the idea is the thing and the writing is just mechanical, no? I get ideas, as the old song says. I never have a problem coming up with ideas. I once brainstormed my way to a new novel in the 20 minutes it took another writer to deliver a completely stupid talk on inspiration. The talk infuriated me, as I found it ethereal and not at all helpful to the would-be writers to whom it was addressed. As refutation of its indifference to pragmatism, I decided to have an idea on the spot and I did, via old-fashioned brainstorming. The result was I’d Know you Anywhere (published in the UK as Don’t Look Back) and it was one of my most successful books to date. So, please don’t give me your ideas. Even if they are very, very, very good – and some are – I won’t have the emotional attachment I need to write. I won’t listen to anyone else’s ideas. I really couldn’t see it at first. Salsbury, facing a 15-year sentence on mail fraud charges, disappeared in the early 1970s, never to be seen again. He left behind a wife and a girlfriend. Rumour had it that he managed to provide for everyone. Rumour also had it that he sneaked back into Baltimore from wherever he had gone, but I always doubted that. In fact, it seemed to overlap with the tradition of Elijah, the invisible spirit who slips through an open door at Passover to take a sip of wine. A nice legend, but probably nothing more. My husband provided all the information, but all I heard, the first few times he made his case, was wife-girlfriend, wife-girlfriend. A triangle. I don’t have much to say about triangles, other than the observation that they’re tragic. At least one person is hurt, usually two, often three. But one day, when he made his pitch yet again, I focused on a detail that had escaped me before – the missing man had three daughters. So now I had five women, five points on a star. I like the number five. I like stars. When I was a teenager, I was such a nerd that I created a series of geometry theorems based on stars. If you draw a star as I was taught to draw one, with a series of five slashing lines, you create five triangles – but they are anchored by pentagon. Now that’s a form I find interesting. It also gave me a chance to write about three different generations – a woman born at the end of the Depression era in the United States, two daughters born in the post-World War II Baby Boom and a third child, showing up a decade later in the so-called Generation X. 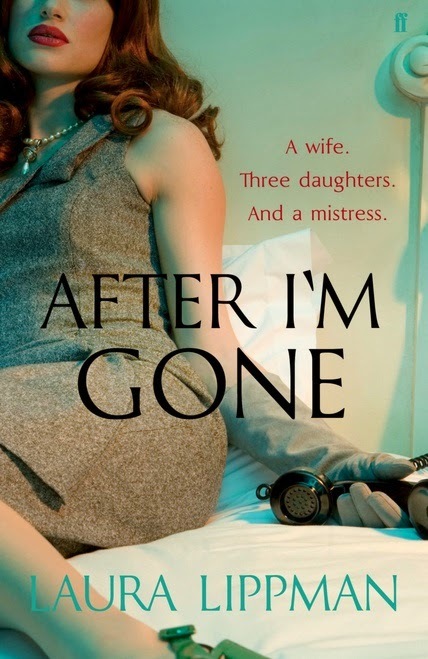 In many ways, After I’m Gone is a Valentine to the women of my mother’s generation, who did more with less. Bernadette “Bambi” Gottschalk Brewer is a young woman who has the intelligence to succeed in college, but lacks the will. She marries at the age of 19. Her daughters have more choices, more options. Are they happier? That question is as central to the novel as the whereabouts of Felix Brewer and the identity of the person who has, many years later, killed his mistress, Julie Saxony. The result was what I believe to be my best novel to date -- certainly my favourite to write. But I still don’t want to hear other people’s ideas. Unless you marry me first. You can find more information about Laura Lippman on her website and you can also find her on Facebook and you can also follow her on Twitter.